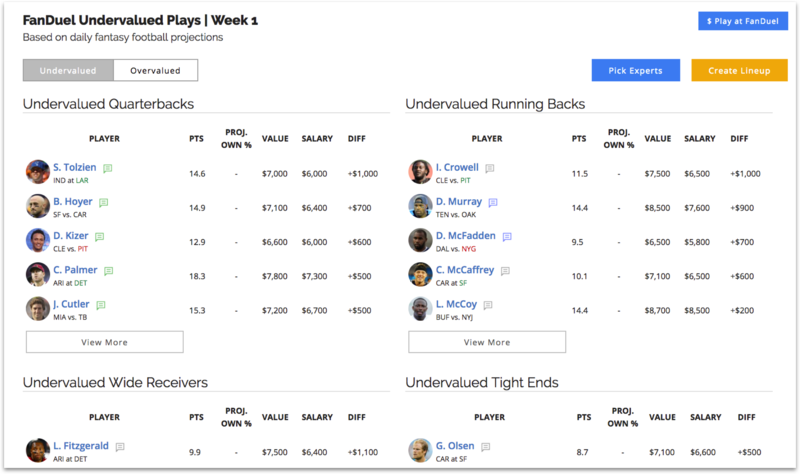 View under/overvalued players by position. Value is calculated based on projected points relative to actual salary. Updated daily with hourly adjustments based on the latest news and lineups. Support for NFL, MLB, and NBA contests.